Boat accidents in North Carolina can create some of the worst injuries for the victims. Boat accidents can also create some of the worst insurance problems when it comes to finding a recovery for boat accident victims. Young man is water skiing with friends at local lake. While the young man is floating in water another boat driven by a reckless boater hits the young man. The reckless boater clearly should have seen the young man in the water and the accident was clearly the fault of the reckless boater. The young man in the water has suffered severe injuries and cannot ever return to work. It would seem like the reckless boater should have insurance for this but maybe not. The first problem is that North Carolina does not require any type of insurance for boats. Scary but true. You can find alot of information on the requirements for boating in North Carolina at the NC Wildlife Resources Commission website, but there is no mention of required insurance. Yes, a boater must have a fire extinguisher on board, but the boater can ride around with no insurance. So let’s assume the reckless boater had no boat insurance which is unfortunately true for most boaters. 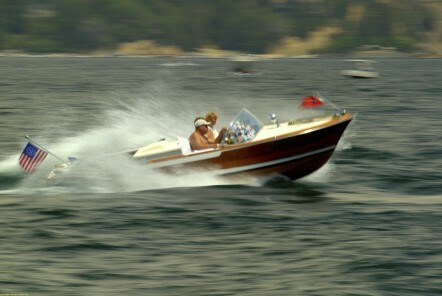 What about the reckless boater’s auto or homeowner’s insurance? The reckless driver’s auto insurance will not typically apply because this auto policy insures acts only while driving an automobile. The reckless driver may have personal liability coverage under a homeowner’s policy but the homeowner’s insurance will likely have a watercraft exclusion that applies to the active use of a watercraft. Therefore, we cannot expect any auto or homeowner’s insurance to apply. What about any insurance that the water skiing victim might have? Under N.C. law, if you have an auto policy you will automatically have covered called Uninsured Motorists coverage. This provides insurance for you if you are hit by another driver that does not have insurance. But, this insurance will not apply if you are hit by a boat that does not have insurance. This insurance applies only to automobiles. Therefore, it is unlikely that the young man who was water skiing will have any insurance to cover his claims. In short, boating in North Carolina can be very dangerous because there is often little or no insurance available to victims of a boating accident. If you or a family member have been involved in a North Carolina boat accident and you have questions about a possible claim, contact the lawyers at Hendren & Malone for a free consultation.